A world premiere of an opera is an exciting event and there was lots of buzz about San Francisco’s spunky Opera Parallele mounting Today it Rains, its first commissioned opera about ‘a new beginning in the life of artist Georgia O’Keeffe’. The music is by Laura Kaminsky and the libretto by Mark Campbell and Kimberly Reed. All three have collaborated on other performance pieces, both operatic and non-operatic. 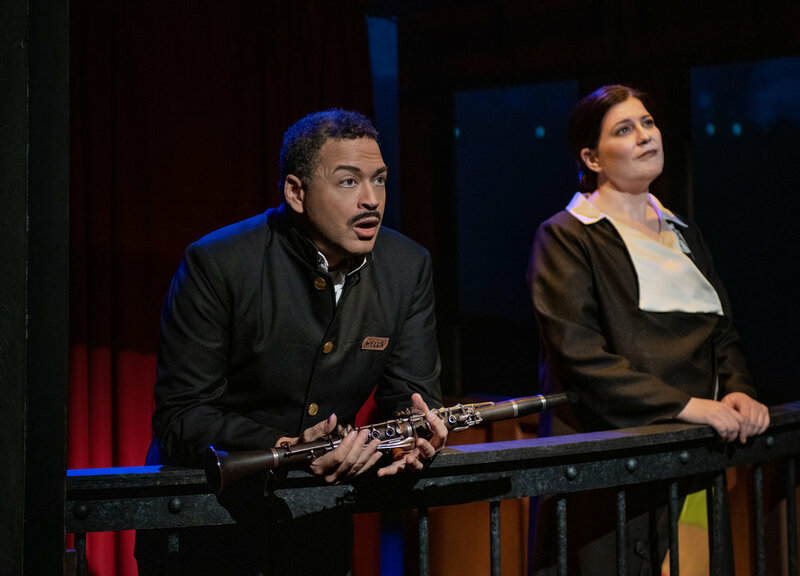 The opera takes place on a train traveling between New York and Santa Fe in April 1929. Georgia O’Keeffe is leaving her photographer husband Alfred Stieglitz and heading for the brown and quiet desert, away from so much green and so much noise in New York. It’s a journey of discovery and transformation but of course filled with angst. There are flashbacks along the way to her youth, her relationship to her husband, and her early painting. The music is modern, tonal, sometimes jazzy, now and then jarring, often beautiful. The small, mostly bare stage at Z-Space worked very well, with a continuous film in the background—sometimes of the actual landscape the train was passing through, sometimes the train itself. In addition, various props were moved on and off to shape the space. Most of these were effective, but there were so many short scenes (11 in a 90 minute piece) that at times the movement was distracting. This was especially true at the beginning, during the brief overture; there was constant motion on the stage, which detracted from listening to the music. This seems to be the new norm—we the audience must always have something to look at when music is playing. I prefer to have an overture be an overture where I can focus completely on the music and prepare myself mentally for the action to come. In addition to the four leads, there was a quartet, a kind of Greek Chorus, commenting on the action and balancing the dialog among the characters. All four were well chosen: soprano Maya Kherani, tenor Ellliott Paige, baritone Gabriel Preisser and mezzo-soprano Kindra Scharich. They did most of the scene changes and were always on the move. 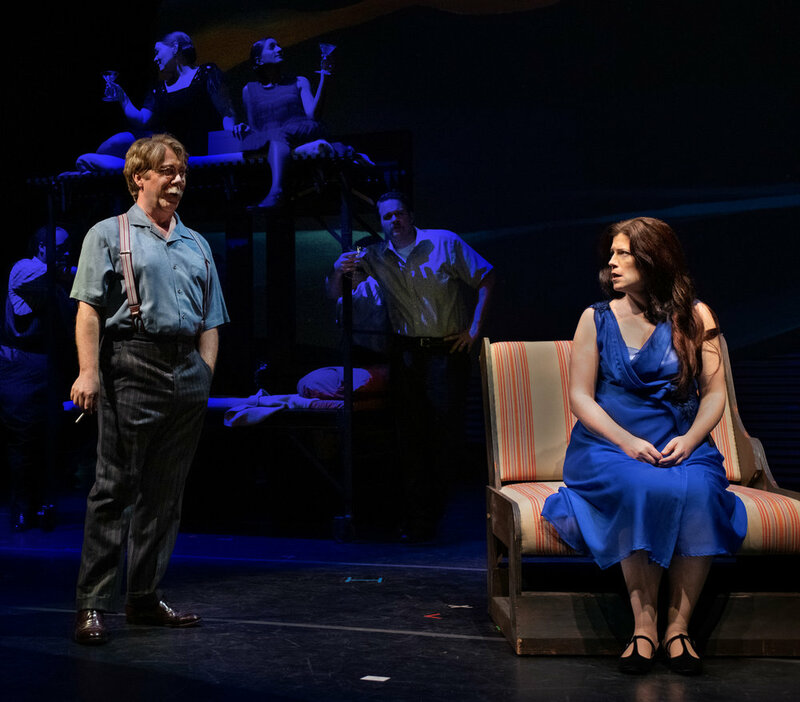 The production team consisted of Brian Staufenbiel, stage director and creative director; Sean Riley, scenic design; Alina Bokovikova, costume design; Alexander Nichols, lighting design; and Yayoi Kambara, choreographer. The small orchestra, under the leadership of conductor (and artistic director) Nicole Paiement, did a commendable job with the complex music. There were moments when I was quite moved by the music and its performance; at other times it didn’t quite work. With new music, I think it takes repeat performances for one to take it all in and be able to focus on one part or another, rather than trying so hard to keep track of everything happening, especially as there were so many changes of scene. Saturday’s performance was the third of four. The idea of the opera and its execution were overall most successful and it is definitely one that should get more attention, especially in this time of women’s increasing visibility in all fields. 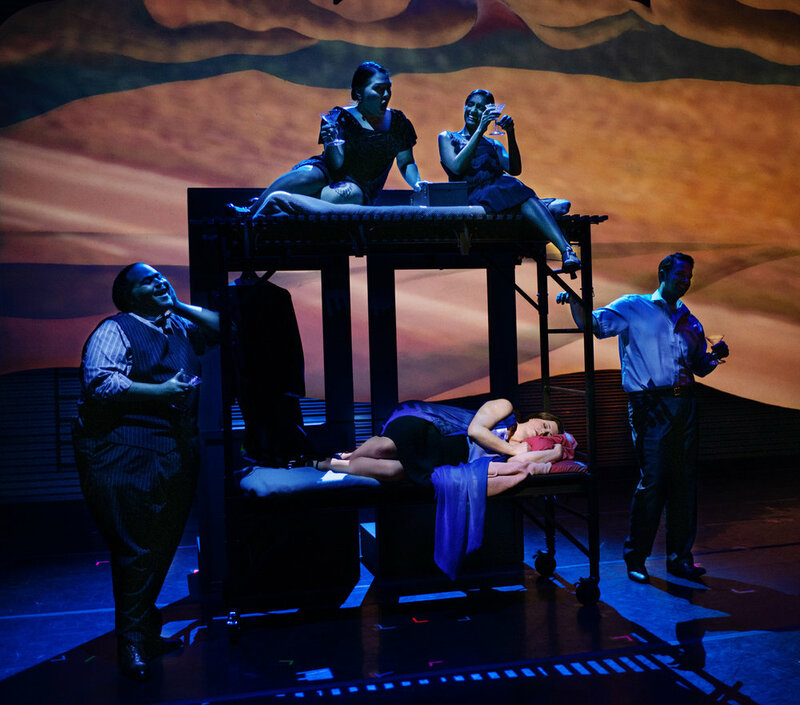 Opera Parallele has pulled off another successful production.